Have a ball this Christmas season: the holidays are the perfect time for your group to congregate for the purpose of eating, drinking, and being merry. 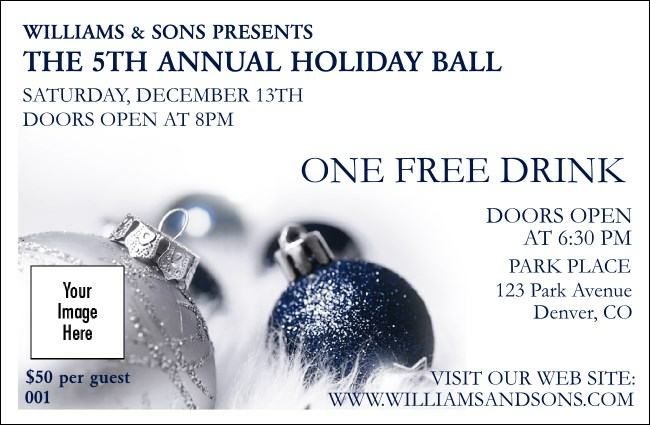 Help your organization keep the drinking aspect under control when you start selling or distributing these lovely Christmas Ornament Drink Tickets in blue and white. Fill in the festive template below! Search seasonal designs in the huge online design gallery at TicketPrinting.com.